Hi! 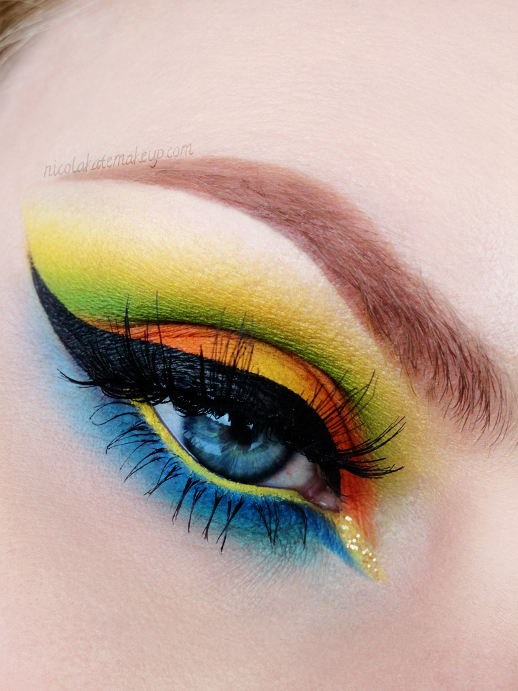 In the run up to the start of this weeks Rio Olympics, I was asked by my favourite eyeliner and mascara brand Eyeko to put together a Rio carnival inspired look to feature on their page. I didn't hesitate to agree as I couldn't think of a better excuse to play around with some more colour and take advantage of my new stash of Eyeko products. This is what I came up with, primarily inspired by the official 2016 Olympics logo. Hope you like it!